Beloved, I hope this message meets you in peace and love of God. 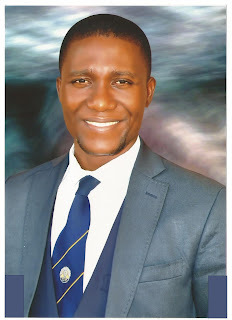 God Sent Me (JIJGBAN DANIEL OKETA) to You and to Nigeria. 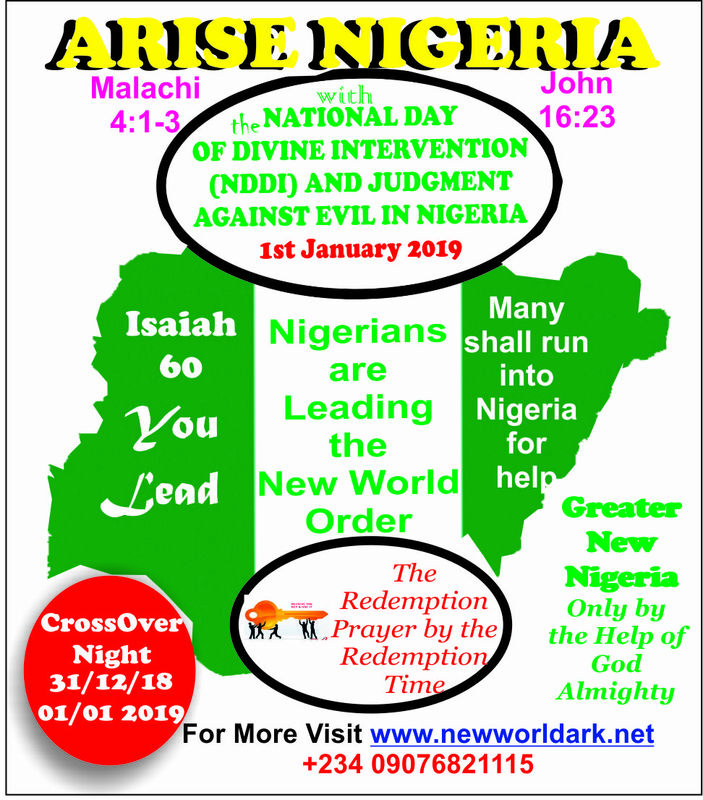 Since God will do nothing except it is revealed to His servants, therefore on the 9th February 2018 and during my watch, God revealed to me by the Word and through multiple visions of the night that there shall be a GREATER NEW NIGERIA BEGINNING on 1ST JANUARY 2019 in unity, faith and love and that day shall be the NATIONAL DAY OF DIVINE INTERVENTION (NDDI) AND JUDGMENT AGAINST EVIL IN NIGERIA and for Nigeria and Nigerians to lead the world into the next phase of human and universal Transformation, hence the ARISE NIGERIA MISSION with this holy message and announcement. Nigerians have been crying and God has heard our cries for help with divine intervention for generational. And since every possibility of God requires a man’s little responsibility, our responsibility is simply to use the Time Redemption Prayer in unity of the faith by the Redemption time especially on that night from all our locations. 2. By the top of the Hours of 11pm, 12am and 1am, you should plead (speak aloud) the Blood of Jesus Christ 21Times. 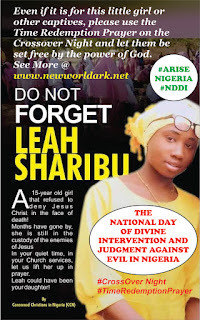 And then you should plead the Blood of Jesus Christ on Nigeria and yourself (your name) seven times each. For example ‘I cover Nigeria with the Blood of Jesus Christ’. This is all you need to do in unity, love and faith for all the great miracles that is needed from God. And God will honour His own part. For those who may like to know more, this is like the instruction of God to the Israelites on the night of the Exodus and also similar to the one against the walls of Jericho. Believe me, I know that this instruction may look foolish but I advise you to just obey in this simplicity and see the Almighty God at work. Visit the website to know more: www.newworldark.net There is no barrier to this; you can obey this instruction from your home/room or houses. And in fact you are strongly advised to do so on that day. This is to reduce the gathering together in worship places as the enemies of Nigeria have planned many evil even on that same day. Like Moses, I have been sent by God to you and to Nigeria. All that God requires from you right now is to obey this instruction. And in fact you should begin to practice this from today and specially seven (7) days to the Crossover over Night and on that same night distinctively. It is national patriotism and service to partake in the ARISE NIGERIA MISSION by which you will lose nothing but gain all things that is there to be gained. This is the fundamental solution that God has revealed for all and for our generations to come. Just as darkness only disappears with the use of light so also evil and perpetrators will only cease by the higher force of divine intervention through faith works. And it is worthy of commendation to note that all may have been said and done by peace loving people in finding lasting solution to Nigeria. But let truth be said that the situation has worsened and become so horrible even though there may be no need to recount the recent lost of uncountable lives to the orchestrations of evil and their sponsors. I also do not need to over emphasize that what is urgently in need is a higher supernatural intervention of God. There is always a solution to everything just as every lock has the right key. The right key may be small but it should be used according to the right order or instruction. 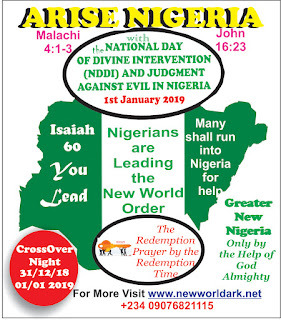 Consequently, God has graciously revealed the right key as the National Day of Divine Intervention and Judgment Against Evil in Nigeria using the simple instruction of the Time Redemption Prayer. On that day, the only but little responsibility of all peace loving Nigerians to witness unprecedented miracles and judgment against evil is the Time Redemption Prayer by the Redemption Time/hours. 3. It is a great expression of love to God and man in the unity of the faith to join hands with other believers and peace loving people of Nigeria. This ARISE NIGERIA MISSION is in compliance with the provision of the Christians Association of Nigeria (CAN) including all bodies, the Pentecostal Fellowship of Nigeria (PFN), The Catholic Secretarial of Nigeria (CSN), Association of All Churches in West Africa (ACW), Islamic Council of Nigeria and other Faith Based Organizations (FBOs) with the Association of Peace Loving Nigerians (APLN). 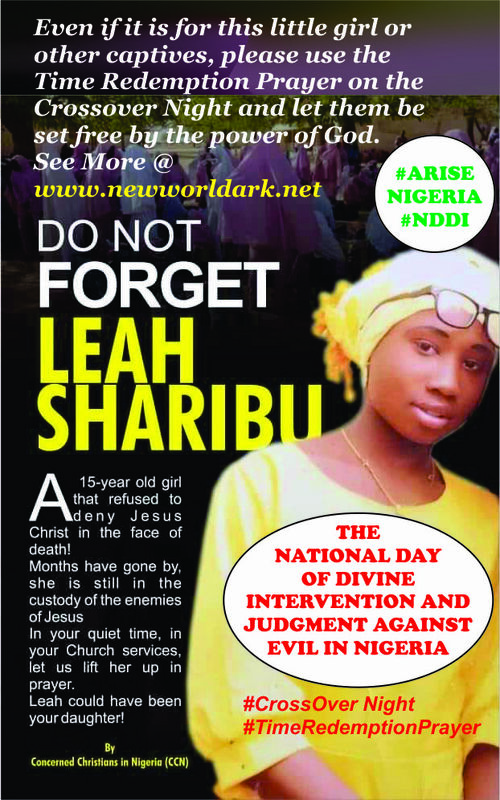 Let everyone (family, friends, colleagues or groups) and all peace loving Nigerians who need Gods intervention; salvation and restoration know about this. Let them stand in for their lives in judgment and justice. Use the solution of God revealed in love, faith and unity.